An MX Record specifies the server that handles your email for your domain. 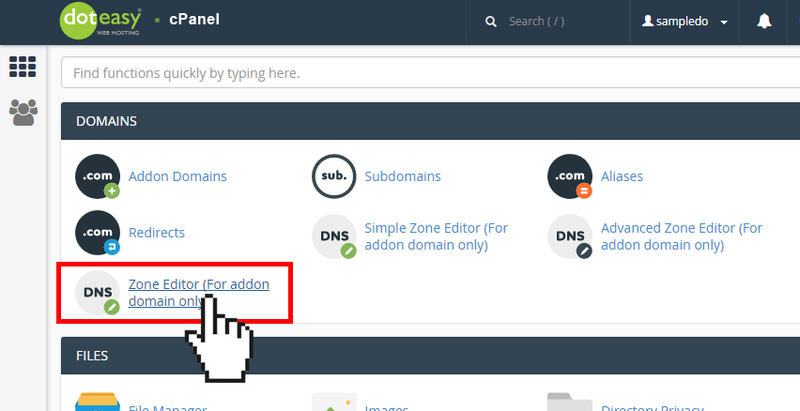 By default, your addon domain’s MX records will point to your Doteasy mail server. However, you can always change this so that the addon domain points to a different mail server. 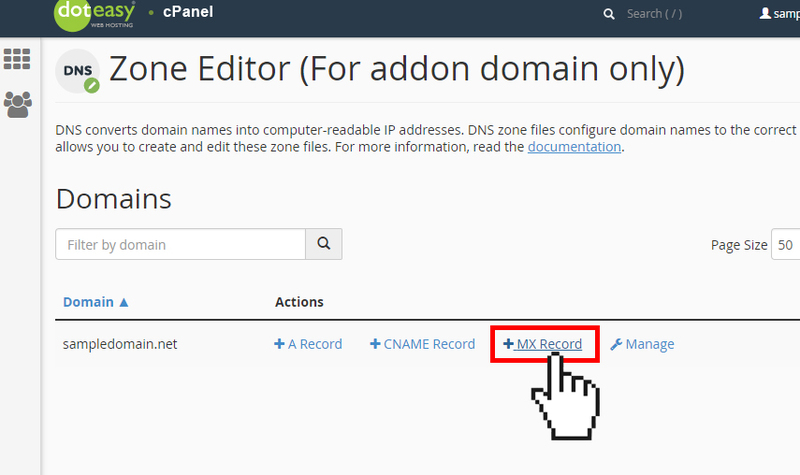 From the Domains table, locate the addon domain name you want to add an MX record. Click + MX Record from the Actions column. On the Add an MX Record window, in the Priority text box, enter a priority. Lower numbers represent higher priorities. For example, zero (0) is the highest priority. In the Destination text box, enter the fully-qualified domain name (FQDN) of the mail server. NOTE: You must enter a FQDN. You cannot enter an IP address. When ready, click Add an MX Record.